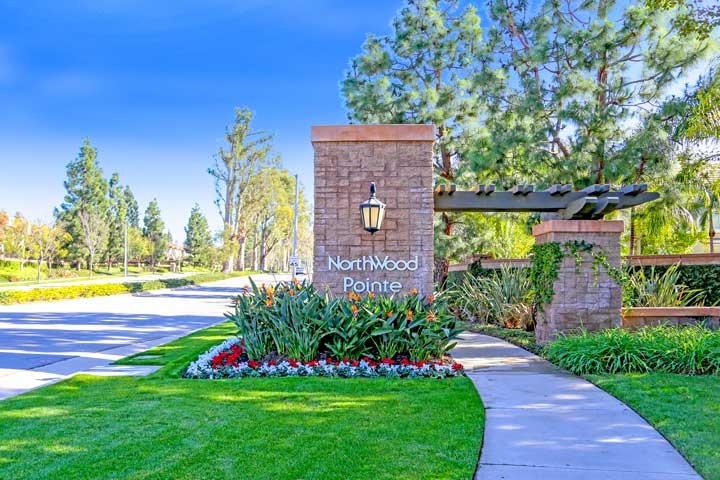 Northwood Pointe homes are located in the coastal area of Irvine, California. The Northwood Pointe neighborhood consists of over 10 individual neighborhoods located in the Northwood area of Irvine. The area has a nice mixture of single family homes and residential condos with many of the properties located in gated neighborhoods. The communities consist of Canyon View, Lexington II, Arbor Crest, Cristal, Lanes End, Collage, Mayfield, Rosegate, Somerton, Northwood Villas, Greystone Villas and Bainbridge. The Northwood Pointe community features some of the best schools in the area including Northwood High School and Canyon View elementary. The homes and condos located here do have homeonwers association dues required on a monthly basis as well as an additional Mello Roos tax. The location is very close to local schools, parks and shopping. Below are the current homes for sale and for lease in Northwood Pointe. Please contact us at 888-990-7111 for more information on this community and any of the homes listed for sale here.